“True knowledge of oneself is the knowledge of the objective psyche as it manifests in dreams and in the statements of the unconscious,” wrote Marie-Louise von Franz, one of Jung’s closest colleagues. Finding myself intrigued by the idea of tapping into alchemical symbolism, and wanting to know more, I realized there was no better person to share some insights than Tom Elsner, a Jungian analyst and professor of Alchemy at Pacifica Graduate Institute, where Tom is teaching a 3-day workshop on the topic of Alchemical Active Imagination starting March 4. Tom immediately offered some history on the process of active imagination, which Jung developed to work with his own difficult experiences. Starting around 1916, after Jung notoriously broke with his mentor, Sigmund Freud, Jung went through an intense psychological process that included depression, accompanied by many deep dreams and visions. 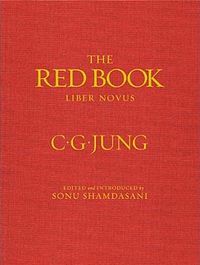 Over a period of 16 years, Jung gave voice to his inner dialogues through writing and painting, a process that ultimately resulted in The Red Book. For Jung, active imagination was the process of making one’s subjective psyche objective—that is, making the unconscious overt and tangible in terms of images, voices, and inner experiences—so that it can manifest in ways we can more easily understand. By entering into dialogue with those images and voices, Jung found himself actively engaged with “emotional drives and dynamics that would otherwise have overwhelmed him,” Tom Elsner points out. It was an effective and inspired way to work through challenges of the psyche. From around 1916, while Jung was in the depths of his process, he discovered alchemy and realized that alchemists were having symbolic experiences similar to his own. Alchemy emerged out of magical practices in ancient Egypt, was fertilized with philosophical views from the Greeks, and evolved via the Middle East, eventually taking root in Europe in the Middle Ages. By the time Jung came across the ancient texts in the twentieth century, alchemy had fallen out of favor in the west due to the Enlightenment and the focus on scientific thinking. Jung understood alchemy made no sense if one thought of it as chemistry. But if alchemy was viewed as a symbolic process, the images served powerfully as a “huge thesaurus coming out of the unconscious,” Tom notes. And so Jung applied it to the seemingly infinite stream of alchemical images in his own dreams, visions, and fantasies, as well as those of his patients. Jung considered himself a natural scientist and strongly sought to bring an interdisciplinary dimension to psychology, involving other of the sciences of the time. While he undoubtedly related to the medieval alchemists as the natural scientists of their time, Elsner argues that active imagination, as Jung conceived it, has inspired the basis of many of the expressive arts, including dance, poetry, painting and sculpture, that have quite strongly emerged in current day psychotherapy. However, it was only in the 1930s after Jung met Wolfgang Pauli, the Nobel prize winning quantum physicist, and they took up what was to be a 26-year correspondence, that Jung began to feel that there was a science that supported his experience of the autonomy of the psyche, and some of Jung’s paranormal experiences, as well. This was a significant intersection for Jung with alchemy. He saw it as the joining of the natural sciences with depth psychology, which paved the way for his theories about synchronicity and allowed him to expand his views about archetypes from seeing them as merely experienced on the inner plane to “something that [actually] inheres in the quality of matter—a kind of a return of soul to the world,” Tom affirms. Utilizing alchemical images to make the subjective psyche objective, as Elsner describes it, is to begin to imagine how certain states of being, such as depression, can emerge and then engage. How might it turn it into an image, for example? What does it look like? Where it is in your body? What is it saying to you? Actively and intentionally engaging in dialogue allows us to overcome passive victimhood of a mood or state; to differentiate ourselves by encountering it as an object we can work with, rather than as something we are identified with, or identical to. In our conversation, Tom describes in some detail how we might go about conducting an active imagination, engaging with a personal challenge, and “wrestling” with the psyche in order to come into some kind of relationship. Following certain guidelines or rituals in the process, taking action rather than passively watching what unfolds, and writing, drawing, or painting your experience (perhaps even hanging your work on the wall so as to “let it stare at you”) are all recommended aspects of the process. This kind of process can have an almost magical effect if you let it, Tom suggests. A core focus of alchemy is the union of opposites, often depicted in alchemical images in the form of the king and queen, sun and moon, spirit and matter, or above and below. Thus, the work of alchemy begins with work of the shadow; with what has been repressed, which includes earth, nature, and the feminine, each largely split off in the western culture, Tom notes. Jung and Pauli envisioned an animated world in which psyche and nature are not split but rather are mysteriously intertwined. For them, that coniunctio, or union of opposites, was taking place in the both the microphysical world and in the collective unconscious. The writings of Jungian and archetypal psychologist James Hillman, about the return of soul in the world, are very much related to alchemy, Tom points out—and what Jung and Hillman understood about alchemy today is very much relevant in the sense of quantum physics and new discoveries emerging there. Inner archetypal patterns now recognized in depth psychology are not just inside, but are also a structure of the external material world. They enable synchronicity, a meaningful connection between what’s happening in the inner world and what’s happening outside as well. When we engage, is produces a sort of alchemical magic that can transform us. How will you tap into that magic today? Thomas Elsner J.D., M.A., is a certified Jungian analyst, faculty at Pacifica Graduate Institute, and a member of the C.G. Jung Study Center of Southern California. He trained as a lawyer, and then as a Jungian analyst at The Centre for Depth Psychology. In his research and teaching of Egyptian, Islamic and European alchemy he continues in the lineage of Jung and Von Franz's work. The author of numerous articles, Thomas has taught courses at Pacifica on alchemy for over seven years, as well as presenting this material in England, Ireland, Switzerland, and throughout the United States. He has a private practice in Santa Barbara and is completing a book on Coleridge’s Rime of the Ancient Mariner as seen from the alchemical and depth psychological perspectives. 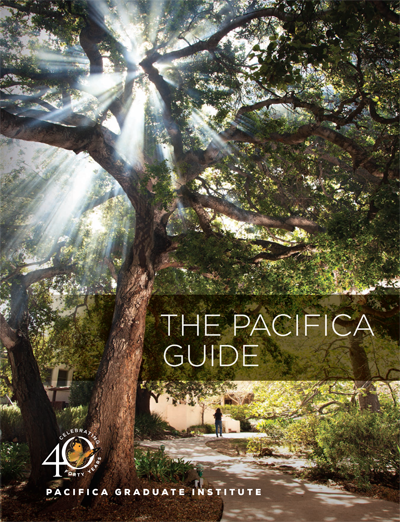 Bonnie Bright, Ph.D., graduated from Pacifica’s Depth Psychology program after defending her dissertation in December 2014. She is the founder of Depth Psychology Alliance, a free online community for everyone interested in depth psychologies, and of DepthList.com, a free-to-search database of Jungian and depth psychology-oriented practitioners. She is also the creator and executive editor of Depth Insights, a semi-annual scholarly journal, and regularly produces audio and video interviews on depth psychological topics. Bonnie has completed 2-year certifications in Archetypal Pattern Analysis via the Assisi Institute; in Technologies of the Sacred with West African elder Malidoma Somé, and has been extensively involved in Holotropic Breathwork™ and the Enneagram.